The recipe card for The Sojourn would read something like “take the teleporting challenges of Portal, add a pinch of wordless narrative across vast, breathtaking landscapes a la Journey, then wrap in the bright, 3D graphics of The Witness.” But Shifting Tides’ first-person adventure doesn’t just cherry pick from some of the best recent puzzlers. The challenges, like in LUNA all based loosely around the theme of light and dark, have their own unique conceits too. The demo I tested out introduced teleporting elements using mystic statues, combined with the ability to move between parallel light and dark worlds to make hidden platforms appear. Later on I was also juggling having to trigger singing statues to get across to certain areas, as well as teleport my way safely through magic gates. It’ll be interesting to see how all these elements come together in later chapters. The brief sneak peek of a much later level I was given showed larger “hub worlds” of several puzzles you could pick from, meaning the somewhat linear structure of the demo will likely open up as you progress through the game. There’ll be roughly 15 hours of gameplay to get your teeth into, with a narrative amongst all of the puzzling telling the journey of life from birth to death. And if that weren’t enough, you’ll be able to come back to completed puzzles and, much like the shrines in Zelda: Breath of the Wild, complete harder variations of the same challenge – another compelling ingredient to add to a game already shaping up to be a recipe for puzzling greatness. The Sojourn will be launching on both PC and consoles somewhere around June of this year. Jessica De Troije and her fellow developers at college needed over one thousand downloads of their student gaming project We Were Here to pass their assignment. Instead it ended up with well over one million, as well as nominations for the Dutch Game Awards and the Independent Game Festival and the eventual formation of Total Mayhem Games. The secrets to such success (apart from plenty of hard work, naturally) are the same simple elements that De Troije (2D artist for the game) now hopes will translate into even bigger recognition for the third title in the series (and second commercial installment), We Were Here Together. You see, unlike the scores of online multiplayer games that see players griefing each other and competing to be the best individually, this is a purely cooperative online puzzle game meant for two people, where if you don’t communicate clearly, and nicely, you aren’t going to get very much done. Whilst previous games saw you starting off inside the Arctic’s fearsome Castle Rock trying to find your way out, this time you begin outside the Castle at base camp, trying to find your way in to answer a distress signal from your friends. Like its predecessors, with the use of a PC-compatible microphone you can talk to your partner through a walkie talkie (with pleasing crackling sound effects). Every puzzle – whether tuning radio signals or hunting for hidden keys to unlock the next area – will need communication to solve. And whilst this time around you and your partner will begin together, swapping advice and ideas for puzzle solutions, later in the game you’ll become separated and need to be the eyes and ears for each other, filling your buddy in on what you can see and hear, and vice versa. According to members of Total Mayhem at Rezzed, with We Were Here Together the team have finally got the budget to make the game they always wanted to make, running at least double the length of previous incarnations at roughly seven hours. We Were Here Together will be released in September or October this year on Steam, with the potential of an Xbox port later on. When the BBC calls, asking you to create a game based around its hugely popular ocean documentary series Blue Planet, you promptly say yes and do a little dance (once you’ve hung up). At least, that’s what I imagine the team at E-Line Media (of beautiful BAFTA-winning puzzle-platformer Never Alone fame) did, but maybe they’re much more restrained individuals than I. A much different sort of game than their debut project, Beyond Blue uses footage and research from the critically acclaimed nature series, but tells its own story set in the near future. You play Mirai, the lead on a newly formed ocean research team tasked with using hi-tech gadgets to explore the deep blue and its myriad mysterious residents further than anyone else has ever before. The underwater realm you swim through in third-person is gorgeous: huge humpback whales drift past the camera, tiny angelfish dash alongside and bright coral sways to the ocean’s rhythm. In the demo I played, I was tasked with scanning audio signals of the nearby fishy inhabitants and locating a lost tracker. It was a relatively simple task used mainly as a ploy to show off the huge area teeming with sea life, but later levels will look to introduce more nuanced gameplay, including being able to deploy drones that can be piloted from a first-person perspective. Whilst taking scenes and inspiration from Blue Planet, Beyond Blue keeps the realistic 3D graphics more videogame-like than filmic in feel. Catching up with E-Line’s Steve Zimmerman at Rezzed, it sounds to me as if there will also be the opportunity to watch mini-documentaries in between gameplay chapters, featuring real life scientists who provided research for Blue Planet, sharing their insights on some of the creatures you’ve just met and scenes you’ve experienced. 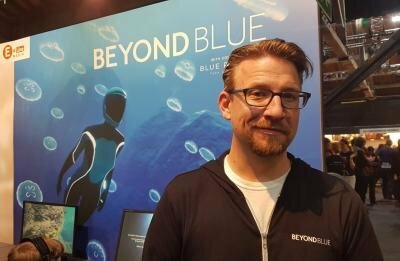 If you’ve been waiting for a game you can secretly narrate in a faux Sir David Attenborough voice, Beyond Blue will be released near the end of August this year on PC and all consoles. Not content with taking 750,000 words of text based on Jules Verne and turning it into an entertaining, absorbing adventure, now inkle, the developers behind 2014's 80 Days, are trying their luck at creating an entire playable language for players to decode and decipher in Heaven’s Vault. As sassy, headstrong archaeologist Aliya Elasra, it’s up to you to search for a missing roboticist in a strange alternate universe called the Nebula. You’re joined on your adventure by mechanical companion Six – so called, the developers tell me, because Aliya has already managed to go through five robotic assistants before this one. As for the deciphering element, which sees Aliya reading symbols off ancient shrines and artefacts, this I’m told will come into play as you progress through the adventure, intriguingly opening and closing up different narrative paths depending on whether you’ve got your translation right or not. The made-up language, which is completely pictorial, is based on Ancient Egyptian and Chinese writing. You’ll be given several words which could be the correct translation for each glyph, but just like in a crossword, if you select the wrong answer you won’t automatically be told straight away – it’ll only be through discovering other words that you’ll realise the need to go back and replace your original submission. In fact, Laura Dilloway, the Lead Environment Artist of Heaven’s Vault, wonderfully referred to it as the “Guitar Hero of languages” in my chat with her at Rezzed, in that it allows you to feel like you’re translating something but without all the inaccuracies and issues that come with real life translation. 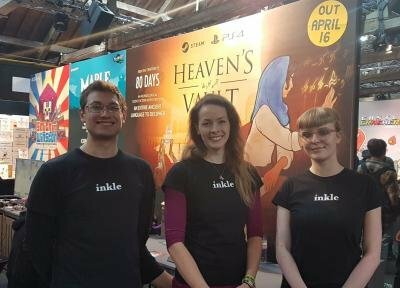 Throw in hand-drawn 2D art within expansive 3D environments and Heaven’s Vault is shaping up to be another unique, intelligent title from inkle – a rare find Aliya herself would be intrigued by. There isn't much longer to wait for Heaven's Vault, as the game will be out on the 16th of April for PC and PS4. 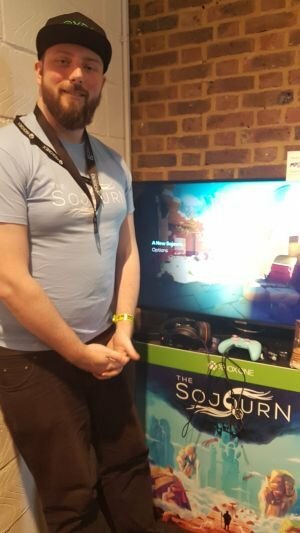 I left Rezzed feeling pretty upbeat about the state of adventures and independent games in general. 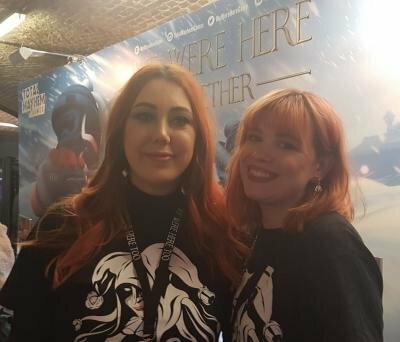 It was great to see so many developers pushing their productions that extra mile, and the crowds of people responding positively to that sentiment. Dave, Jessica and Dan’s talk on the genre’s future didn’t shy away from the fact that small teams are still facing immense pressures to stay afloat, let alone put out something special. However, they’re also proof that it can be done, and in the case of recent games like Gilbert’s Unavowed, sometimes with unprecedented success. Along with attending the panel discussion, I also caught up with Dave for a one-on-one chat. To learn more about that unexpected success, as well as the new title they’re working on – a sequel to 2015’s Technobablyon –stay tuned to Adventure Gamers in the next few days.